Many Asian nations have emerged from their colonial pasts and have begun to explore the history of their identities. The end of the 30-year civil war means that we have an opportunity to create a renaissance of Sri Lankan culture and reveal our proud legacy of 2,500 years to the world. The ominous shadow of civil war is behind us and we can now welcome visitors to our shores with rich tales of an exotic past and the striking natural beauty our island nation has to offer. Angampora: A Nation’s Legacy in Pictures is a project that strives to bring a priceless remnant of our cultural heritage into the hearts of a new generation of Sri Lankans and the world. When photographer Reza Akram’s photo essay on Angampora got picked up by the Huffington Post in 2014, one of the internet’s biggest news and entertainment portals, it gave him new insight into the value that the photos held. 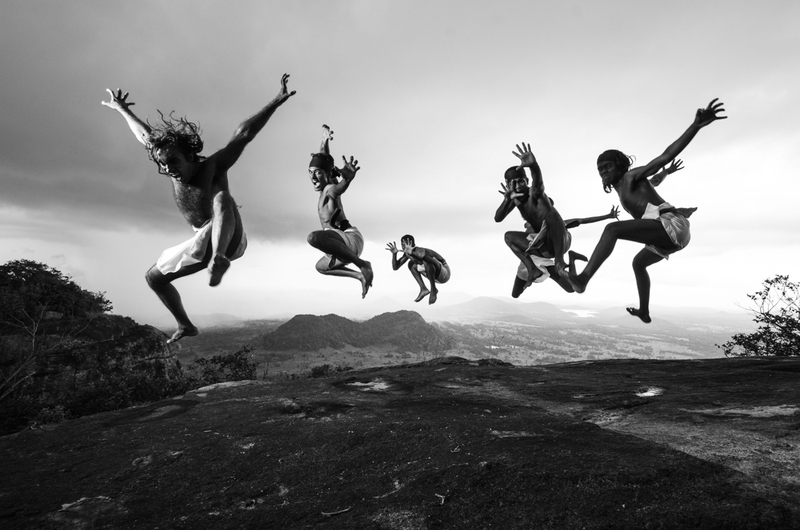 “My photos began as a personal project of capturing Angam fighters in action. 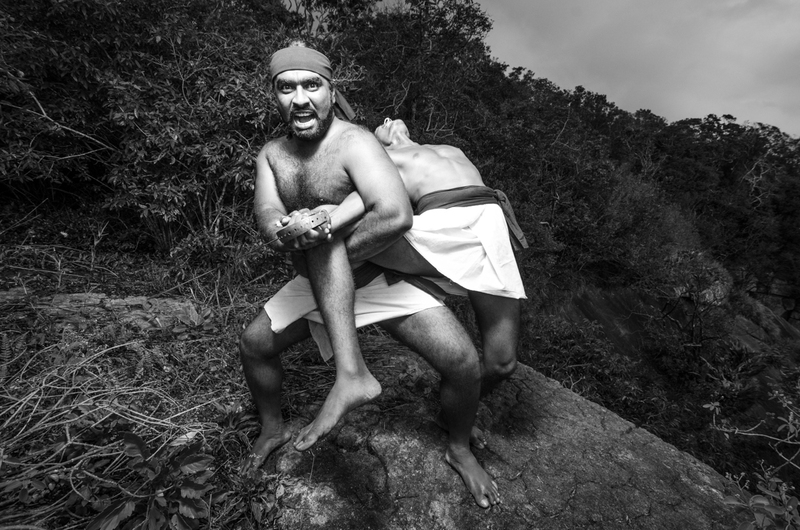 When they were featured on the Huffington Post, I realized that the photos were a great medium to help spread awareness and help revive this dying art.” Reza’s personal work with Angam fighters has been featured on many media channels since. His work was also featured on LT magazine’s Photographers to Watch for 2014. Between Reza, Angampora practitioner and researcher Ajantha Mahanthaarachchi, and project coordinators Dewmith Ekanayake, and the writer himself, a passionate desire to bring Angampora to the spotlight is shared. Many countries have succeeded in bringing the traditional martial arts of their cultures to the global spotlight through film, photography, art, and academic research. From far eastern arts such as Sumo, Shaolin Kung-Fu, and Muay Thai, to western disciplines such as Capoeira and Israel’s Krav Maga, martial arts have served as a gateway to portray a nation and its culture to the world. Sri Lanka’s proud heritage, untouched and unexplored, has yet to be shown to the world with such striking style as other arts have managed to accomplish. 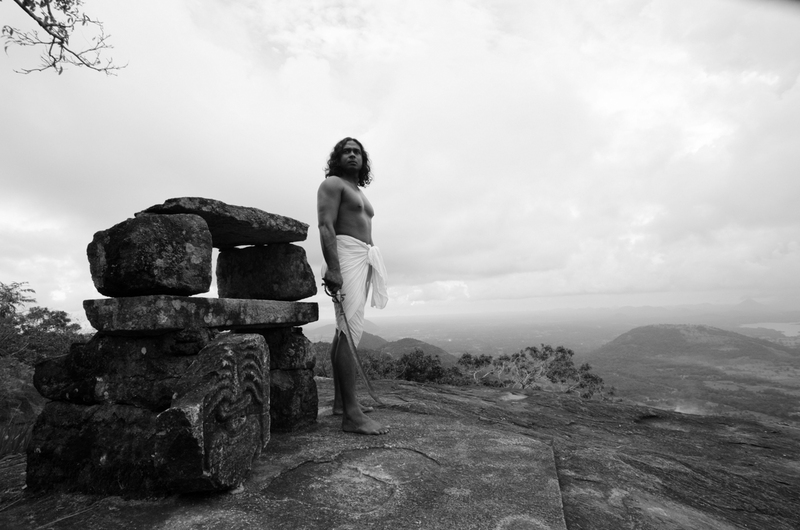 Ours is an initiative that hopes to create greater awareness of Sri Lanka’s cultural treasures through the medium of photography. The history and depth of Angampora is one that has evolved with an intimate connection with nature. It is an anthropologist’s dream come true. It is a 2,000 year old martial art and philosophy which holds a repository of knowledge in medicine, astrology, music, dance, and esoteric ritual that can fascinate and enthrall the imagination. 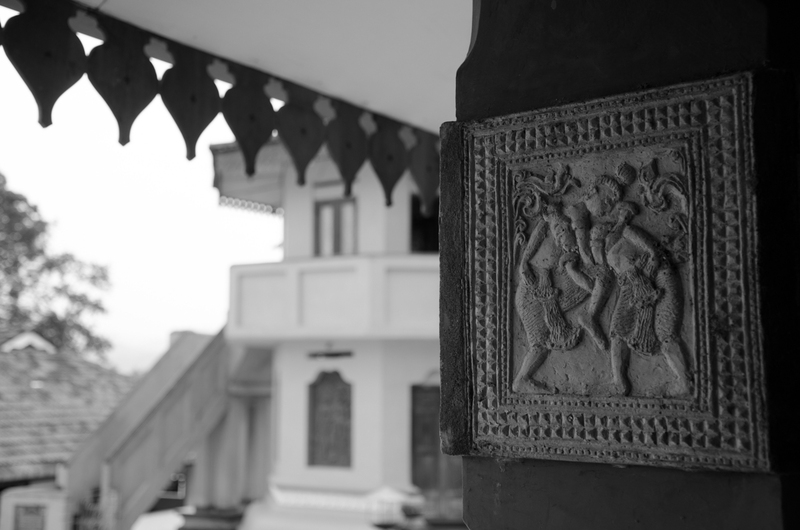 This art is not simply a cultural treasure for Sri Lanka. It is a heritage of the world. The project intends to capture 250+ original photos of Angampora in a variety of situations that explain the history, evolution, and the inheritance of Angampora to today’s Sri Lanka. The pictures will then be weaved together to a create a pictorial narrative of 10 chapters that will explore never before seen areas of the art’s beginnings, its combat maneuvers, healing practices, and secret arts. Upon completion, this collection of images will hold a great cultural significance that can help spur greater interest in Angampora around the world and among Sri Lankans: the art’s rightful inheritors. Other cultures have managed to bring their native arts to the world stage. They have made contributions that have seeped into today’s global culture, influencing the arts, philosophies, and sciences. Why has it taken Sri Lanka so long to bring a prized inheritance to the attention of the world? It is this very question that began this project; and we intend to make a memorable contribution to the revival of our nation’s legacy.